Nice! It sounds like you got a lot out of your first game. You might want to try to add in more terrain though, as Malifaux really benefits from having a good amount of things to hide behind / move through / put down scheme markers upon. 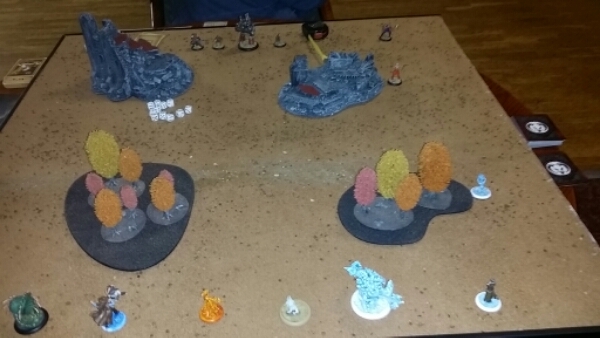 Thanks for tips, as this was my first game and my buddy is quite experienced in Malifaux, we kept it simple, currently building some wild west theme buildings, more on that later.